Antifungal, Antibacterial, Antioxidant Activity, and More! There are many herbs that help with digestion and colon cleansing, but few are like Barberry root. It can aid in the secretion of bile to support liver health, act as a mild purgative to disinfect and cleanse the colon, mitigate urinary discomfort, and help regulate the digestive processes -- all in one swoop! And it has anti-microbial properties that are especially beneficial for the skin and intestinal tract. These are just a few of the reasons why Jon Barron uses Barberry in his colon cleansing and kidney flush formulas. Barberry (Berberis vulgaris) is an evergreen shrub that grows throughout the temperate and subtropical regions of the world. It is a common ornamental, and you may have even seen this natural health ingredient in your local landscaping. Barberry has been used medicinally all over the world for at least the last 2,500 years. In fact, more than three dozen medicinal uses for barberry have been discovered. Similar to goldenseal, barberry contains the active substance berberine, a bitter alkaloid. Berberine extracts and decoctions have demonstrated significant antimicrobial activity against a variety of organisms, including bacteria, viruses, fungi, protozoans, helminths, and chlamydia. The antibacterial properties of berberine have shown activity against Staphylococcus, Streptococcus, Salmonella, Shigella, and Escherichia Coli. It may also help the immune system function better. Currently, the predominant clinical uses of berberine include treating bacterial diarrhea, intestinal parasite infections, and ocular trachoma infections. Some studies have found that barberry may ease the symptoms associated with diarrhea more quickly than with antibiotics alone. Berberine also aids in the secretion of bile and is good for liver health, acts as a mild purgative, and helps regulate the digestive process. According to the University of Maryland Medical Center, the liquid extract of barberry has been shown to have beneficial effects on both the cardiovascular and neural system. As such, it may be useful in the treatment of hypertension (it dilates blood vessels), tachycardia (rapid heartbeat), and some neuronal disorders, such as epilepsy and convulsions. And that’s not all! In a study published in "Circulation Journal" in May 2012, it was reported that an active compound in barberry, berbamine, may also help protect your heart from ischemia/reperfusion injury. Another study shows that berbamine may also strengthen the heart, enhancing the contraction of heart muscles by increasing the sensitivity of cells to calcium, a mineral that regulates muscle contraction. In addition, recent research also supports the theory that barberry may offer some type of protection against Type 2 diabetes. The study involved participants consuming a preparation containing barberry and milk thistle for 90 days. The study found that barberry, when used along with milk thistle, helps stabilize blood sugar levels and treat diabetes. Barberry supports the urinary system, bladder and kidney function, and can help alleviate such symptoms as cramping, inflammation, irritation, and discomfort. It is excellent for kidney stones and gallbladder problems. Barberry may optionally be used as a homeopathic component or an adjunct component. 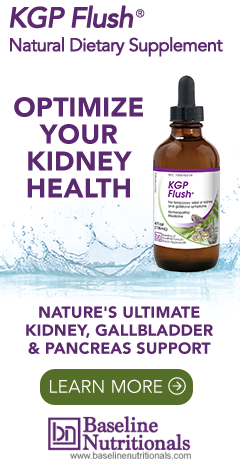 Read more about how this works in Jon Barron's kidney flush formula. Barberry is also rich in vitamin C but should not be used on a regular basis to provide nutrients. Other than exceptional circumstances, you should not use high doses of barberry for more than seven days at a time without the supervision of your doctor. Then wait at least a week before using barberry again. This gives the beneficial bacteria in the intestinal tract a chance to recover. For this reason, it is also recommended to supplement with a good probiotic formula after using barberry to speed up the rebuilding process. At lower levels, under 500 mg, this should not be a problem. Another caution is that barberry can decrease heart rate and depress the breathing, which can have benefits under certain conditions. Again, at lower levels, this should not be a problem. Barberry rootbark is available in many forms and the fruit, which is not generally considered medicinal, and can often be found in jams, jellies, and juices. As a medicinal herb you can find barberry in the form of capsules, liquid extracts, tinctures, and in topical ointments. You may even find the dried roots in tea form. For more on colon and digestive health, read about our natural colon detox here. I don't even know how I ended up here, but I thought this post was good. ;) Cheers! 2nd day. My BS is way down. I didn't have to use my victoza today. I'm thrilled. The necessary room is necessary within 1 he of taking. That's ok better then being to slow.